Solved Guess Paper for CBSE Class 12 Maths board exam 2018 is available here. This paper is specially prepared for students who are going to appear for Mathematics board exam, this year. After going through this paper student will get acquainted with latest examination pattern and marking scheme. Solved Guess Paper for Class 12 Mathematics CBSE Board exam 2018 is available here. With this Guess Paper, students can easily understand the latest CBSE Class 12 Mathematics examination pattern & marking scheme. CBSE Class 12 board exams 2018 will start from 5 March 2018 (English Paper). CBSE Class 12 Maths paper is scheduled to be held on 21 March 2018. Clearly, not many days are left for the preparation. This is the time when students should focus more on practice and revision. This paper is developed by subject experts at Jagranjosh.com after the brief analysis of previous 5 years’ Maths papers. After going through previous year papers, our subject experts have observed that questions based on some important concepts are frequently asked in board exams, every year. The paper contains all such important concepts. Questions based on these concepts might be asked in CBSE. Question: If the radius of an iron sphere is measured as 9 cm with an error if 0.03 cm, then calculate the approximate error in calculating its volume. 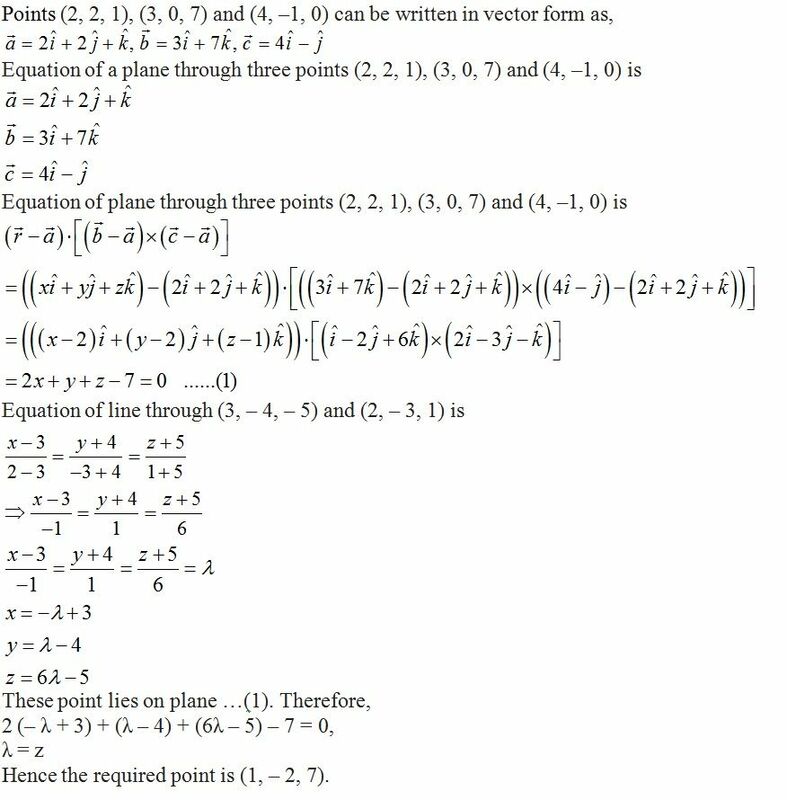 Question: Find the coordinates of the point where the line through (3, – 4, – 5) and (2, –3, 1) crosses the plane passing through three points (2, 2, 1), (3, 0, 1) and (4, –1, 0). Question: Arun can solve 90 % of the problems given in a book whereas Amit can solve 70%. Find the probability that at least one of them will solve the problem, selected at random from the book? Question: The monthly incomes of Aryan and Babban are in the ratio 3:4 and their monthly expenditures are in the ratio 5:7. If each saves Rs 15,000 per month, find their monthly incomes using matrix method. Suppose the monthly incomes of Aryan and Babban be 3x and 4x and their monthly expenditures are 5y and 7y respectively. Since each saves Rs 15000 per month. Monthly saving of Aryan: 3 x ‒ 5 y = 15,000 and monthly saving of Babban: 4 x ‒ 7 y = 15,000. Therefore monthly income of Aryan = 3×30000= Rs.90,000. Therefore monthly income of Babban = 4×30000= Rs.1,20,000. 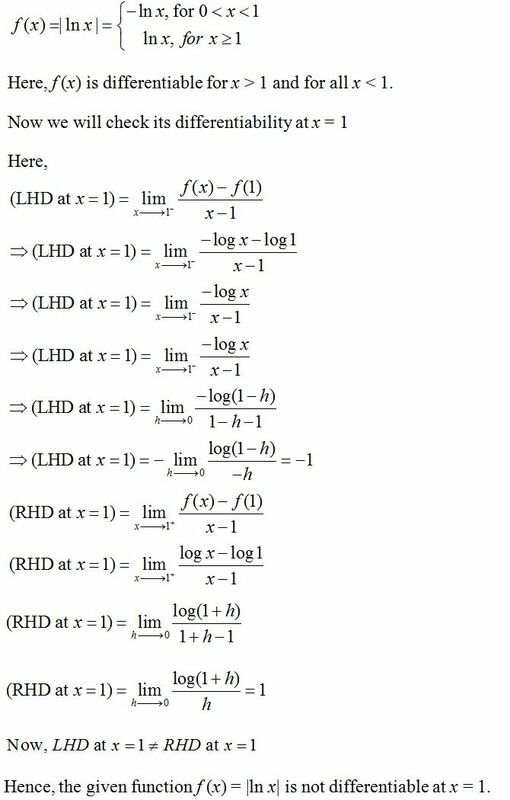 Question: Prove that f (x) = | ln x | for x > 0 is not differentiable for all x > 0. Question: A magazine seller has 500 subscribers and collects annual subscription charges of Rs.300 per subscriber. She proposes to increase the annual subscription charges and it is believed that for every increase of Re 1, one subscriber will discontinue. What increase will bring maximum income to her? Make appropriate assumptions in order to apply derivatives to reach the solution. Write one important role of magazines in our lives. Increase in subscription charges = Rs x, Decrease in the number of subscriber = x. Obviously, x is a whole number. y is maximum when x = 100, which is a whole number. Therefore, she must increase the subscription charges by Rs 100 to have maximum income. Magazines contribute, a great deal, to the development of our knowledge. Through valuable and subtle critical and commentary articles on culture, social civilization, new life style we learn a lot of interesting things. Through reading magazines, our mind and point of view are consolidated and enriched. 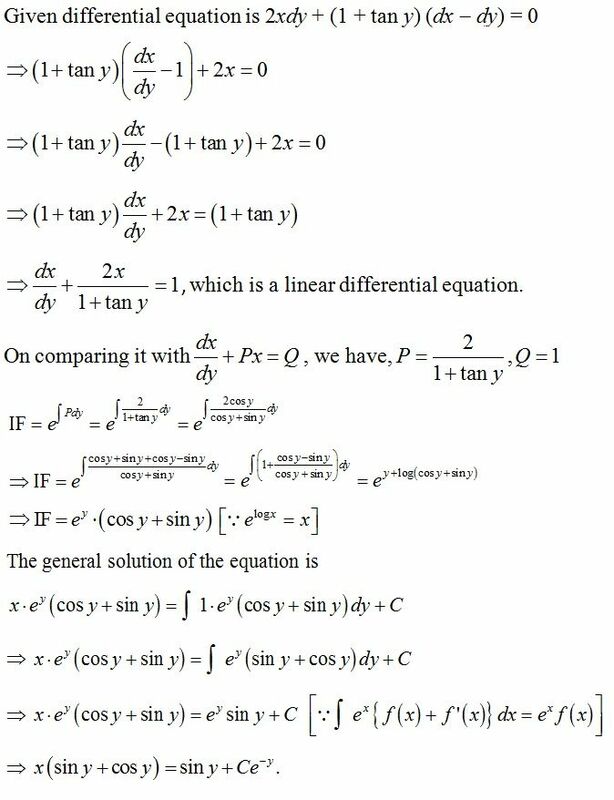 Question: Find the general solution of 2x dy + (1 + tan y) (dx - dy) = 0. Question: Find the point on the curve y = x3 ‒ 11x + 5 at which the equation of tangent is y = x ‒ 11. Question: A company has two plants to manufacture scooters. Plants I manufactures 70% of the scooters and Plant II manufactures 30%. At Plant I, 80% if the scooters are rated as of standard quality and at Plant II, 90% of the scooters are rated as of standard quality. A scooter is chosen at random and is found to be of standard quality. Find the probability that it has come from plant II? Question: Find the length of foot of perpendicular from the point (7, 14, 5) to the plane 2 x + 4 y – z = 2. Also, find the image of the point P in the line. Suppose M be the foot of the perpendicular from P on the plane 2 x + 4 y – z = 2. So, PM is the normal to the plane. Its direction ratios are 2, 4, –1. Question: A company manufactures gold rings & chains. The total number of rings and chains manufactured per day is exactly 24. It takes 1 hour to make a ring and 30 minutes to make a chain. The maximum number of hours available per day is 16. If the profit on a ring is Rs. 300 and that on a chain is Rs 190, find the number of rings and chains that should be manufactured per day, so as to earn the maximum profit. Make it as an L.P.P. and solve it graphically. So, Z is maximum at (8, 16). Therefore, 8 gold chain and 16 chains must be manufactured per day to earn the maximum profit.